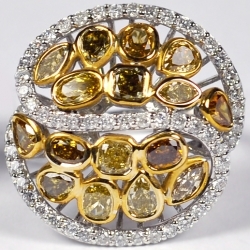 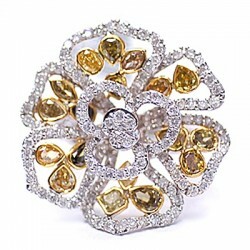 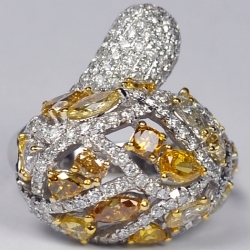 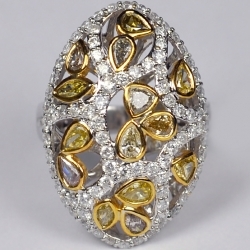 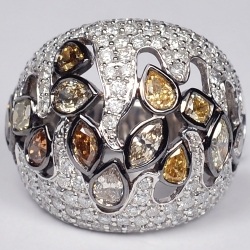 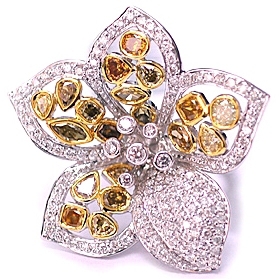 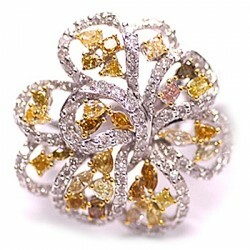 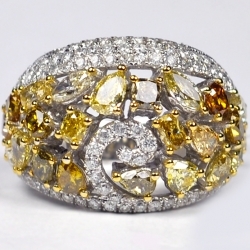 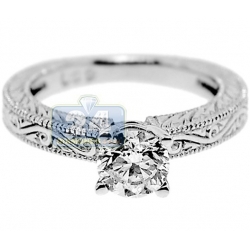 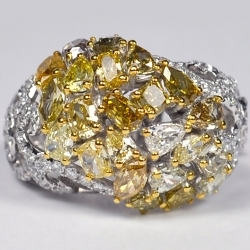 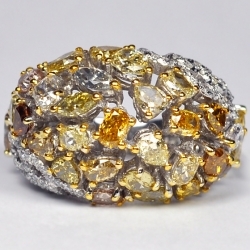 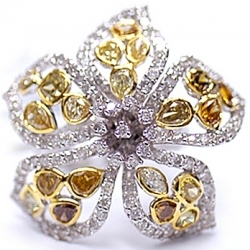 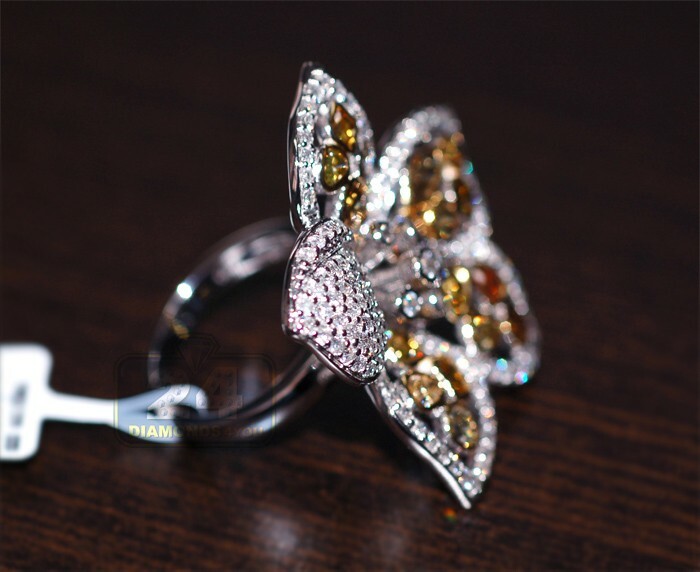 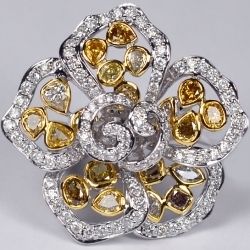 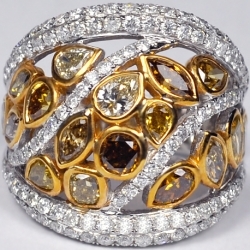 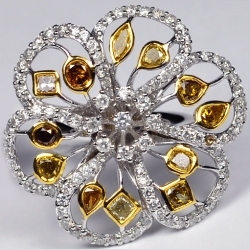 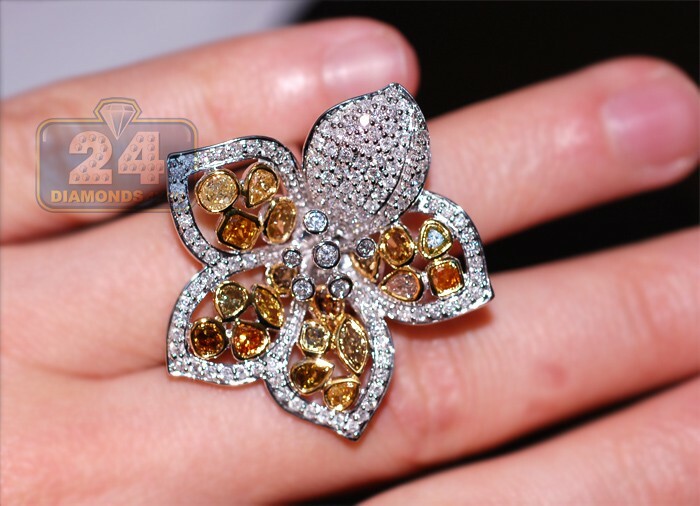 Absolutely extraordinary in design, this lady's cocktail ring is masterly handcrafted in lustrous 14k white gold with perfectly polished finish, and features a beautiful flower design covered in shimmering diamonds showcasing plenty of natural fancy yellow, cognac and classic icy white diamonds. 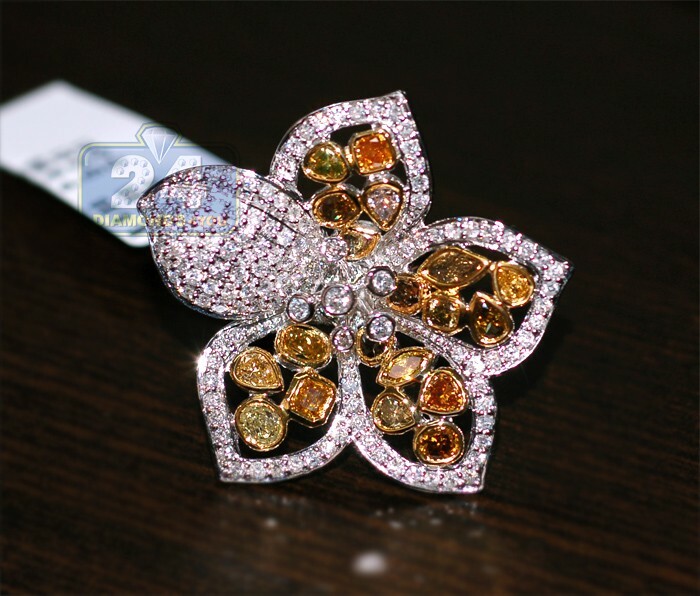 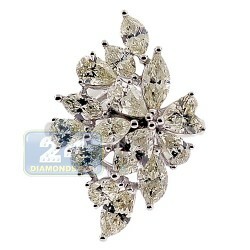 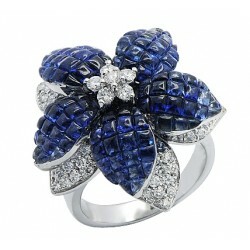 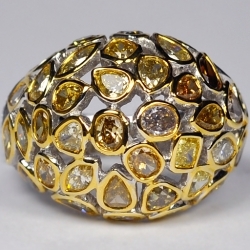 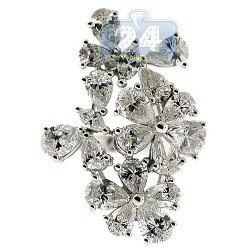 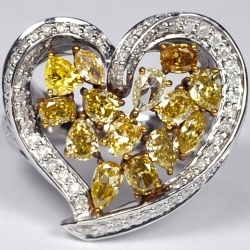 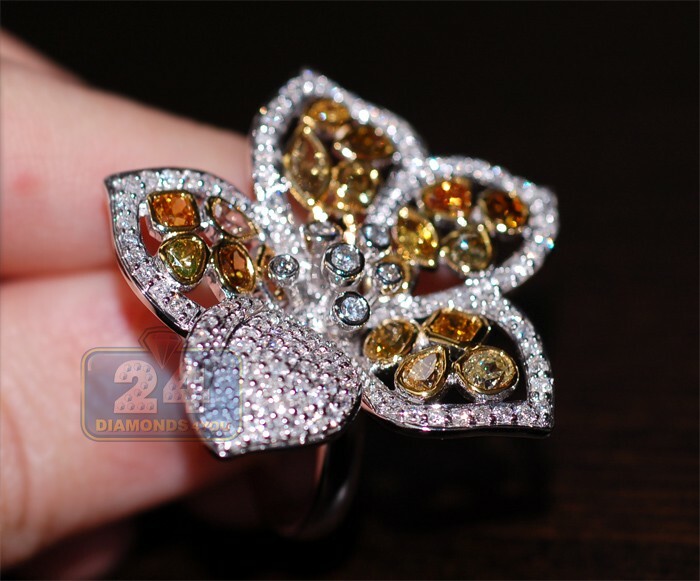 These are eye clean precious stones of top grades. 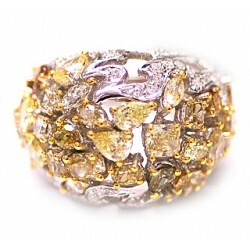 Add such a special jewelry piece to your dressy look!